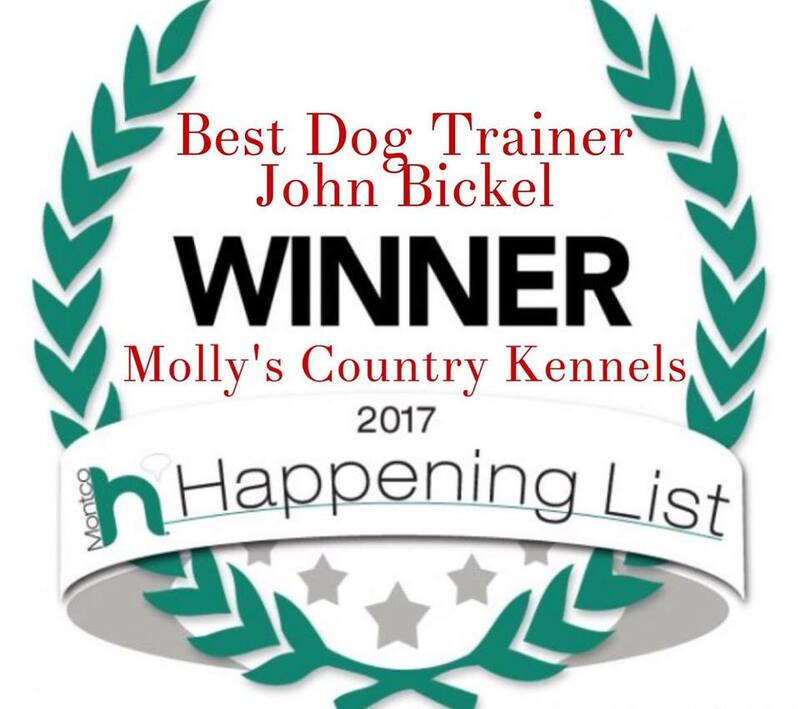 WELCOME to Molly’s Country Kennels, situated on 5½ grassy and forested acres in rural Worcester Township (between Lansdale and Norristown, Collegeville and Ambler), is a family-owned full service pet care center.In 1988, we purchased a boarding kennel that we named Molly’s after our beloved Golden Retriever. 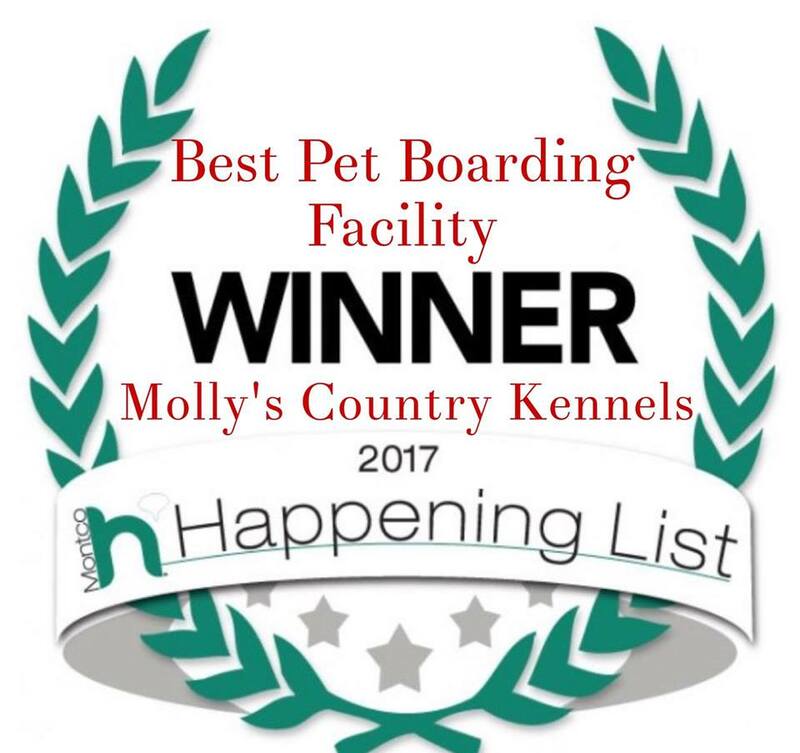 The site of the facility, a farmstead dating back to 1876, had been in use since 1950 as a breeding kennel, and subsequently as a boarding kennel. 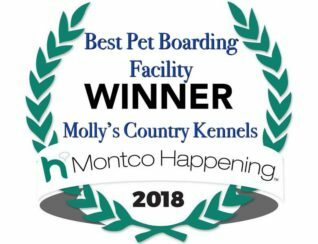 We completely renovated the facility and brought it up to standard for the exclusive Voluntary Facilities Accreditation with the American Boarding Kennel Association. 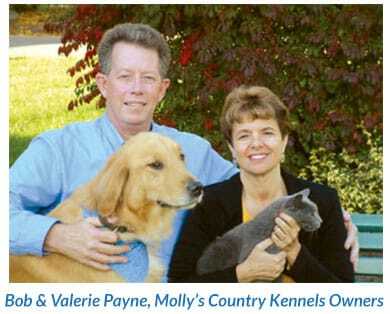 Molly’s Country Kennels staff is dedicated to the well-being of your pet during his or her stay with us. 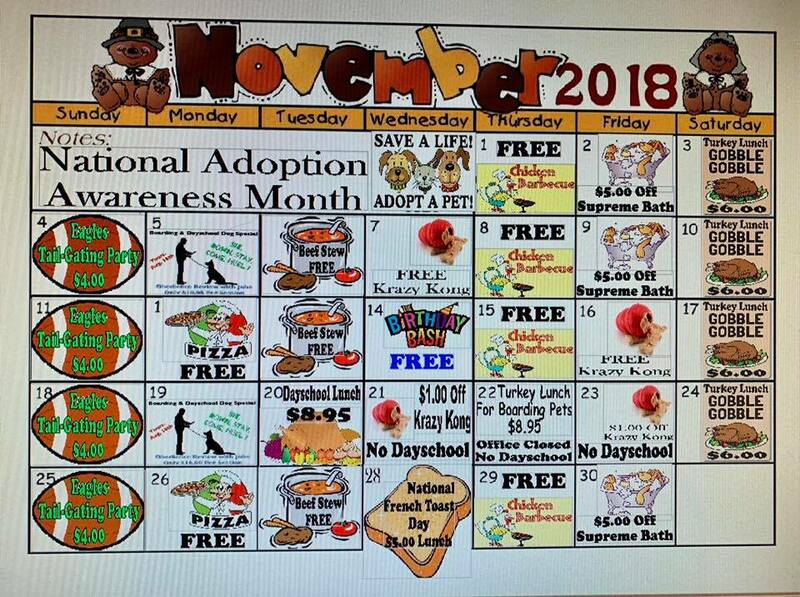 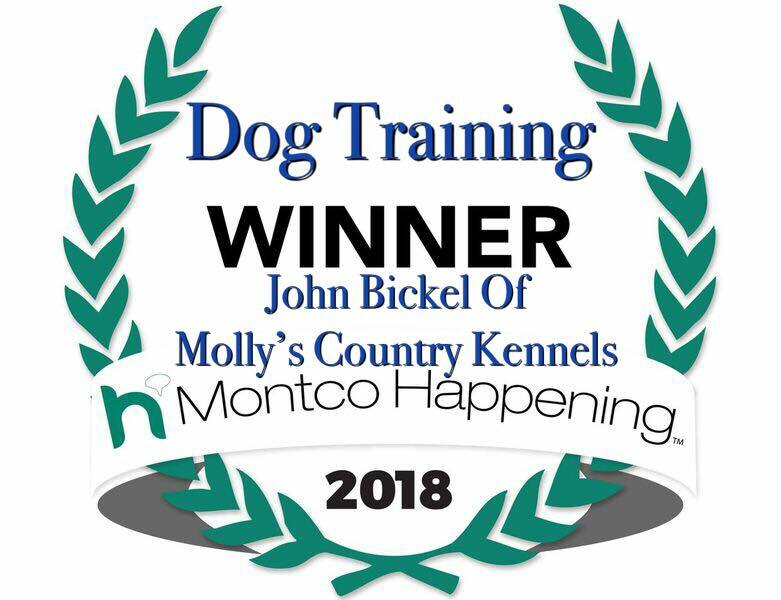 We re proud of our many staff members who have become Certified Pet Care Technicians, and also those who are in advanced studies; education is strongly emphasized with all who work with your pet. 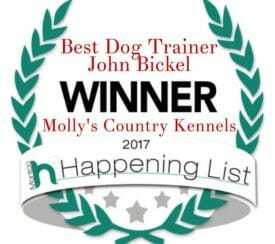 In fact, Molly’s Country Kennels is overseen by three Certified Kennel Operators: owner Bob Payne, General Manager Anne Bickel and Assistant Manager John Bickel. 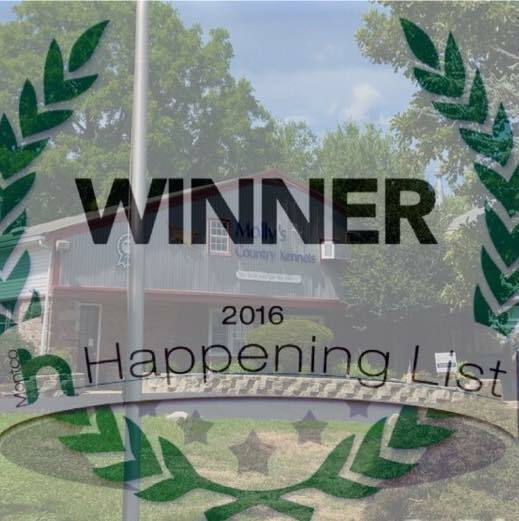 Certified Advanced Pet Care Technicians, and Certified Advanced Pet Care Technician, Rosalie Coulter. 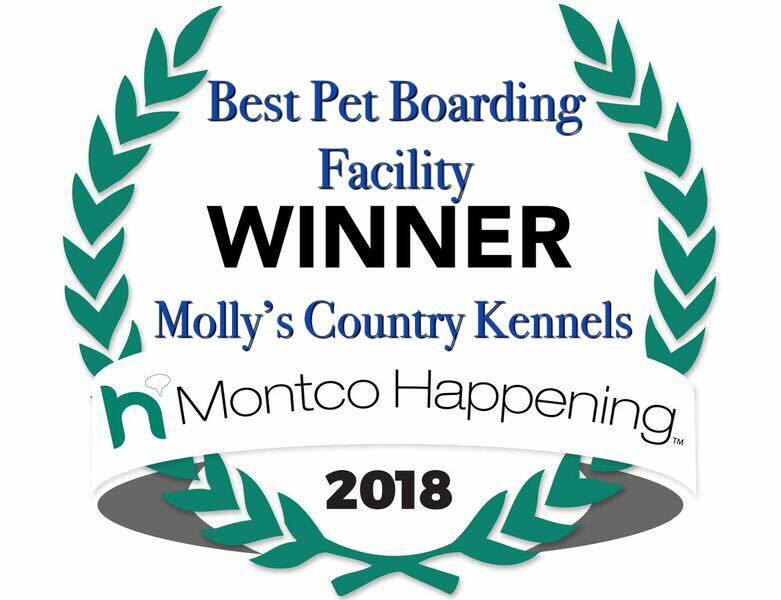 Our many satisfied pet owners have shared with us that it’s our pet-friendly environment and genuine personal care that makes Molly’s their only choice for repeat pet care and boarding.